The trademark gifts of Valentine’s Day are cards, flowers, chocolate, and unnecessarily huge teddy bears. While those are all nice, they get old really fast. 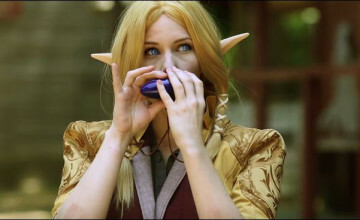 Why settle for the dull and boring traditions when you’re a gamer geek? There are a lot of options, however, if you want to spice things up. 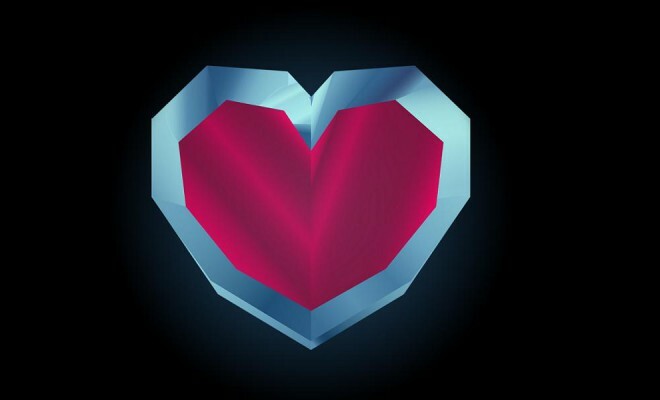 Don’t worry, though, we’ve got your geeky relationship covered on the suggestions with our Gamer’s Guide to Valentine’s Day. 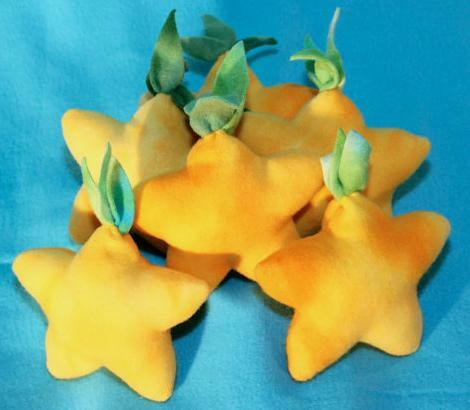 StudioKitsu does a phenomenal job at recreating the signature Papou Fruit from the Kingdom Hearts series. It’s said that if two people share one, their destines become intertwined and they remain a part of each other’s lives forever. This little plush is the perfect thing to get for your sweetheart or even your best friend. It’s small, cute, and soft to touch. Who wouldn’t love to receive one of these as a surprise? At the PendantLab you’ll find all sorts of neat treasures. 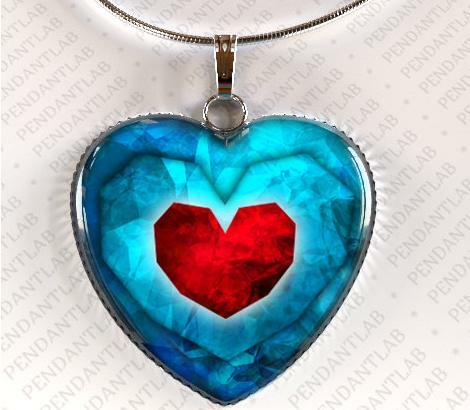 What really stands out to us gamers, though, is the heart piece from The Legend of Zelda series. It doesn’t come with the chain, so it’s versatile for the receiver. Make it into a necklace, key chain, or bracelet. It’s perfect for showing your special someone that they really do have a piece of your heart rather than just stating it on a piece of three dollar card stock. 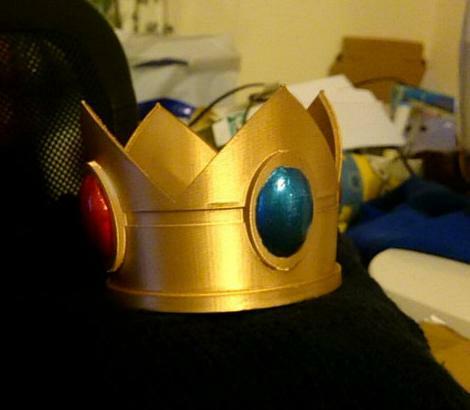 Why not head over to Chompworks and get your princess her very own crown? This 3D-printed piece will delight any fan of the Super Mario series, especially on Valentine’s Day. It’s a gesture that not only shows how much you respect your highness, but it’s a silly and cute idea that will bring smiles. Accompany this with a homemade cake (Princess Peach needs to be pampered too, you know), and you’ll be sure to get a kiss on the cheek from her that day. Okay, okay, you got me. I said cards would be dull, but you’ve gotta admit this can be the exception. Why not skip Hallmark and give Memeskins a couple of bucks instead for this cool Pokemon Valentine’s Day card? You can choice from an array of envelopes in different colors (though I personally think the yellow matches nicely), and it’s more thoughtful than the generic “I love you” cards you see in the stores. 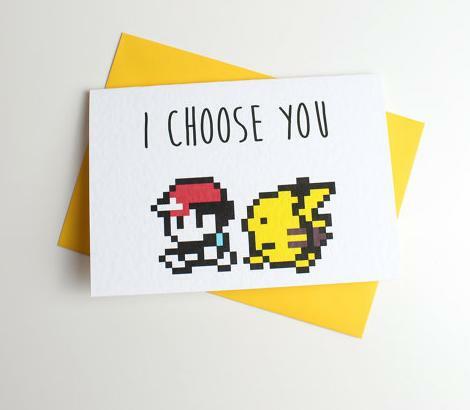 This card that caters to the gamer nerd in your relationship is the better choice. If you’re a poster junkie like me, this gift idea might be the deal breaker. 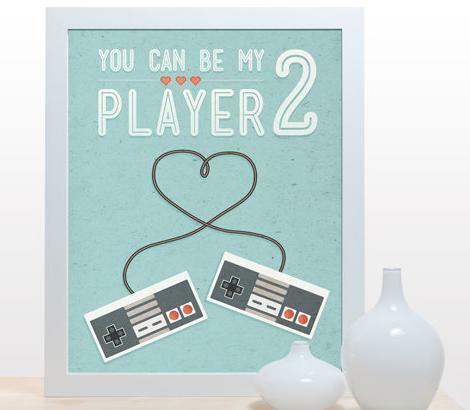 You Can Be My Player 2 poster by Noodlehug hits home for those of us who share the love of gaming with our other half. This would look perfect by the entertainment system (or wherever the consoles are scattered in the house), and it would be a constant reminder of just how wonderful of a team you two make. It’s a special thing to have a player two in your life, so why not display that in the form of a large print on paper? If you have any additional gift suggestions you’d like to share, send them over to AdamWatsonAG@gmail.com! Adam Watson was addicted to video games way back when he was a wee kid, pretending to be sick just to stay at home from school and play on the SNES. Now at the age of 24, he's found a way to study for his Physics degree and play video games in the same day. He's acquired enough Lifetime Happiness Points to get the Meditative Trance Sleep reward so that he has more time in the day to do all of this. 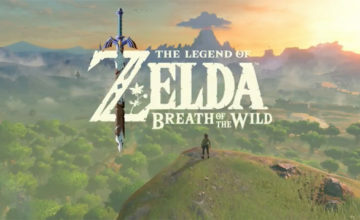 What Happens When Zelda Goes Western? 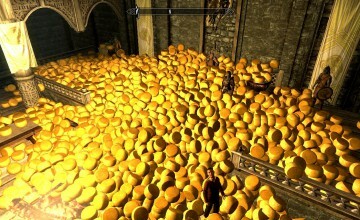 Cheating in Video Games: Is it that bad?